The ankle is comprised of three bones that meet at the top of the foot: the tibia and fibia in the lower leg, and the talus, which sits on the heel. If any of these bones suffer a fracture, the individual is diagnosed with what is called an ankle fracture, or broken ankle. For clarification, an ankle sprain is the result of damage to the tendons and/or ligaments in the ankle, but no fracture is present. An ankle fracture can result from a slip and fall, sports injuries, a hard landing, a car accident, or excessive rolling of the ankle. Fractures can range from avulsion (chip) fractures to stress fractures or more severe breaks as in crush injuries. They can also be medically-induced, for example in cases where a podiatric surgeon must access the inside portion of the bone. Because of the close arrangement of these bones and connective tissue, many fractures are associated with damage to the connective tissue within the ankle’s joints. Patients who have suffered an ankle fracture will experience sharp pain at the site, as well as swelling and bruising. The pain is usually severe enough that it will be difficult to support the weight of the body while walking. If you suspect you’ve broken your ankle, see a podiatrist immediately to determine the exact nature of the injury. 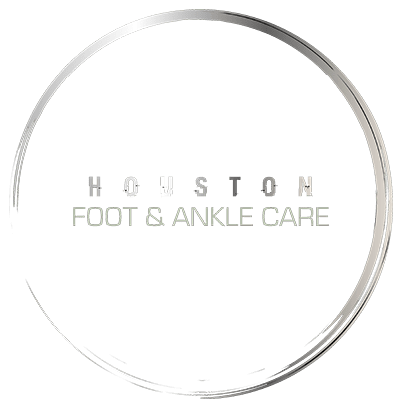 Surgery is usually only required when there are loose bone fragments, ligaments have been ruptured, or there is a concern about ankle instability. Post-surgery, you will need to take all weight off the ankle in order to allow healing for approximately 6-10 weeks. This amount of recovery time will lead to weakening of the foot and leg, so some form of physical therapy will be necessary.